The people from the Hurricane Carter movement kept calling me and writing me. And Hurricane sent me his book, which I read and which really touched me. I felt that the man was just innocent, from his writings and knowing that part of the country. So I went to visit him and was really behind him, trying to get a new trial. Tonight is billed as “The Night of the Hurricane,” and Dylan is in a good mood, dedicating one song to Al Grossman, who is in the audience and “‘is not running for President” (a dig at Muhammad Ali’s attempts to turn the benefit into a political rally). Baez hams it up during her set with Dylan, and Robbie Robertson joins the Revue for a great “It Takes a Lot to Laugh.” Although not as inspired a performance as Montreal, the concert ends the tour on a high note. The traditional end-of-tour party is at the Felt Forum after the show. The partying continues at a restaurant near the Westbury Hotel. The last show of the 1975 tour @ Madison Square Garden, New York City – 8 December 1975. 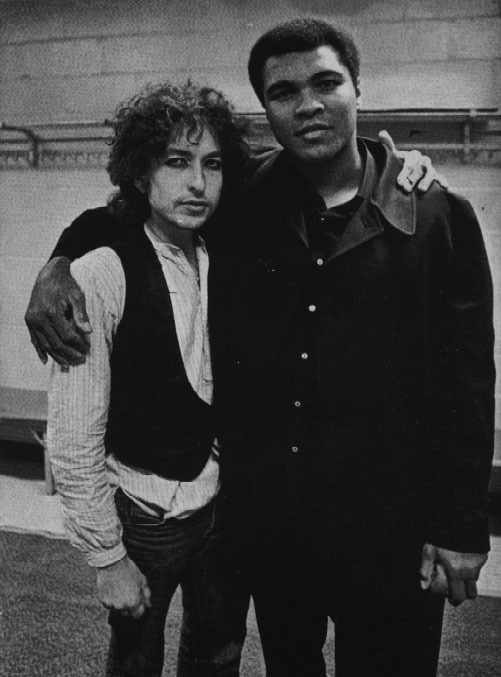 The show was a benefit concert for the imprisoned boxer, Hurricane Carter, hence the name of the show: “The Night of the Hurricane.” Special guests for the night: Robert Flack and Muhammad Ali. This is Scarlet here, Scarlet Rivera … don’t clap yet! We’re got a new song to play for you. It’s called Romance In Durango. Influenced by the past and a bridge to the future. Here’s another new song. This is about the marriage ceremony between man and woman, it’s what happens when you get married, called Isis. Gonna dedicate this song to Mr. Richard Manuel, who does it so well. Gonna dedicate this to all our sisters out there tonight. We’re gonna play this song now. This is what this concert, or this show is all about, and this person, he’s a beautiful man, and beauty should never be in prison. Lots of people make up the Rolling Thunder Revue, a lot of people who make it up you don’t see, and we are the Rolling Thunder Revue, and we shall return! 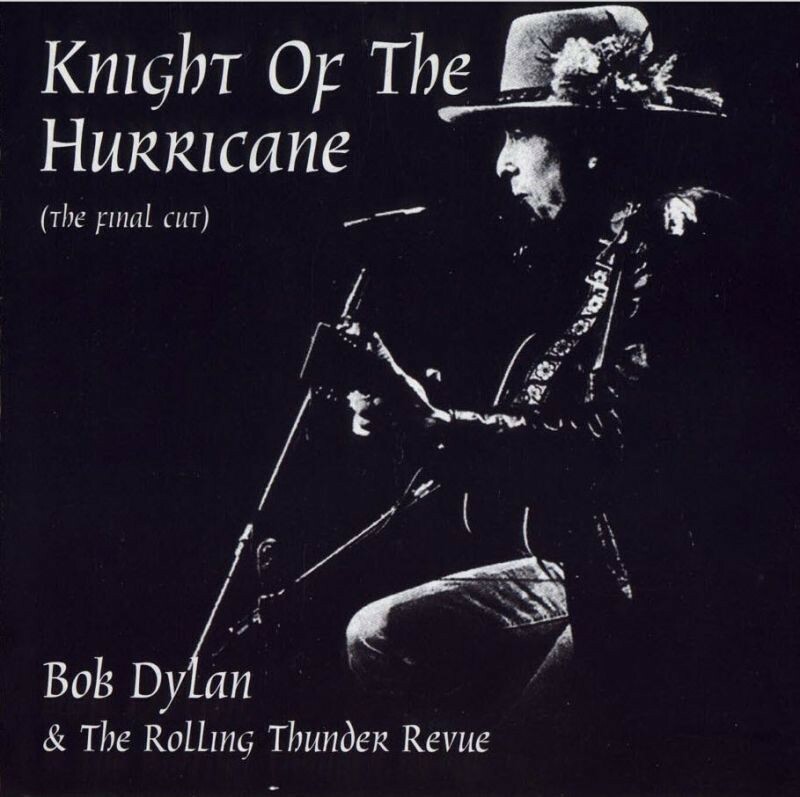 The concluding date of Bob Dylan’s legendary 1975 Rolling Thunder Revue tour doubled as a benefit for wrongly imprisoned prizefighter Rubin Carter, the subject of Dylan’s famed narrative “Hurricane.” An excellent companion to Sony’s official release The Bootleg Series, Vol. 5: Live 1975, this unauthorized two-disc set captures the performance in its entirety, complete with superior sound quality and a beautiful package that mirrors Sony’s own aesthetics. The fiery, sinuous folk-rock sound that defined the Rolling Thunder dates reaches its apex here. Familiar songs like “It Ain’t Me, Babe,” “Knockin’ on Heaven’s Door,” and “Just Like a Woman” radiate new life, galvanized by Dylan’s impassioned vocals and his all-star band’s crackling energy. The Hurricane story displays a weak side of Dylan: his naive embracing of manipulative individuals who happen to be cold blooded murderers like Hurricane, Joey or George Jackson. It is not his fault, he was just thinking it was right. But because we have better information and more accurate reports we can today make better judgements. Rubin Carter may have been framed and innocent for three murders, but it is not very likely. Let’s leave it here.